In the state of Georgia, the struggle to legalise gambling continued in 2017 when lawmakers were having difficulty in coming to some form of agreement by compromising as to what options in gambling should be available and then also how to go about it. The Georgia GOP state committee decided in August of 2017 to pass a resolution showing their opposition to daily fantasy sports, casinos and horse racing. This resolution included the concerns of the GOP regarding gambling which could have a major impact on the increase in divorces and crime rates. Another major concern is that with the legalisation of gambling, Indian tribes would immediately start shopping for property to use as gambling venues. In general, the GOP feels that the state should not show an interest in gambling activities legalisation just to fill the coffers of the state at the expense of ruined lives and broken families. On the other hand, advocates for casino gaming sees the legalisation of gambling activities such as horse racing, daily fantasy sports contest and casinos as a way, to fund the HOPE scholarship program and many other programs. 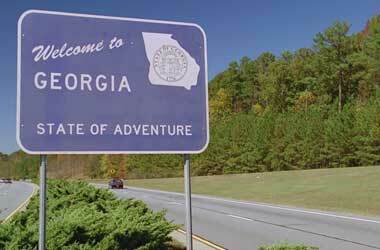 In Georgia there is no legalised casino gaming and therefore also no land-based casinos, the closest casinos are in North Carolina, where the Cherokees own two casinos that are about 155 miles away from Atlanta. The only option to enjoy casino gaming to Georgians is the casino boat in Brunswick. It sails about three miles into international waters where it is legal to enjoy gambling. The casino boat offers video poker, slots, roulette, craps and blackjack, although no payback percentages are available on the gaming machines. Due to strict security players need to present identification to prove they are at least 18 years of age to get aboard the casino boat, and alcoholic beverages are available to players over the age of 21. According to the Georgia Gambling Laws section, 16-12-20 gambling is betting on any dice, card or ball game to win money. Prohibited events include dog racing, as well as horse racing and raffles for charity, are allowed and commercial gambling, chain letters and pyramid clubs are banned. The bill SB-79 sponsored by Senator Beach would have allowed the licensing of two casinos, the first requiring an investment of at least $2 billion, the second, an investment of $450 million, and together it could have supported an additional 4,000 new jobs. In September of 2017, the Republic of Georgia seriously considered the prohibition of online gambling as part of its gambling regulatory revamp, although several members of government were not convinced that it was a good idea. A disagreement continues to brew between the parliamentarians that are pushing for a total ban on any form of online gambling and the finance officials that are sceptical, to say the least that such a ban would not result in a reduction in online casino gaming activity. One of the main concerns is that there are no effective mechanisms in place to prohibit online gambling and even though other states have invested million into finding such a measure it was all in vain. When it comes to finding ways to stuff the internet genie back into its golden bottle, Georgians need to look no further than its southern border where Turkey recently announced several plans to stamp out illegal gambling although major brands continue to enjoy significant revenue from Turkish-friendly online casinos. To its northern border is Russia, which bans around 1,500 gambling sites on average per week, again to little effect. Which means citizens of Georgia can join any one of thousands of online casinos that welcomes players from this state, without fear of prosecution, while membership offers access to a tremendous bonus variety, an extended selection of casino games and 24/7 entertainment offered via mobile devices or desktops. Georgians are welcome at many online casinos. The safest online casinos are those granted a licensed by the Malta Gaming Authority, Government of Curacao or the UK Gambling Commission. These authorities are actively involved in ensuring that online casinos adhere to the high standards required by an online gambling license, which includes fair and RNG gaming, strict security and safety of all members, banking of member funds in a separate bank account, as well as clear and fair bonus requirements. Unlike land-based casinos that can offer players free drinks, accommodation or meal vouchers, online casinos offer incredible bonuses. One of the most popular bonuses in attracting potential players is no deposit casino credits or free spins. While new members making their first deposit have access to free bonuses worth double their deposited amount or more via percentage-based bonuses. Welcome packages often consist of several bonuses offered across the first few deposits as well as free spins. All bonuses are subject to wagering requirements, once achieved winnings are withdrawable. Online casinos also offer existing members a range of other bonuses including reload bonuses, free spins bonuses and cashbacks, while loyalty, rewarded via a points system gives access to increased benefits. Online casinos offer a huge variety of betting options with coin denominations starting from as low as $0.01, while high rollers can increase the betting options to hundreds of dollars. This is one of the benefits of online casino play, all games cater for any players budget size, no matter how small or big. Depositing funds into an online casino is easy with the variety of options available in the cashier section. Most of the payment options are usable for both depositing and withdrawing, and most casinos prefer to make payouts via the same method used for depositing. All payment information send to the casino is SSL encryption safeguarded, and processed information stored on firewall protected servers. Payment methods include debit and credit cards such as Visa, MasterCard, while several e-wallets accepted include Skrill, Neteller, PayPal and Eco. One of the most preferer payment options is cryptocurrencies and more and more online operators now accept Bitcoin. The time-period it takes for members at online casinos to receive their winnings depends on the method selected at the time of the withdrawal request. Online casinos that still offers cheques warns that it could take up to 28 days, while debit cards, as well as credit cards, take up to 5 working days. E-wallets can take, at some operators, only a few hours, while at others it can take up to 3 days. At almost all online operators Bitcoin or other cryptocurrencies such as Litecoin offers instant payouts or at most a couple of hours. Decentralized currencies are also an easy way to get past the laws that restrict banks from processing online gambling payments, while it also offers users anonymity and complete privacy.